Individual and versatile: our material. 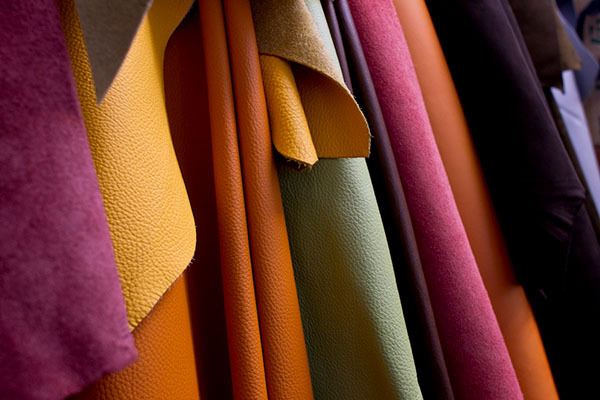 Our large selection of 100% real leather includes a beautiful variety of colors and finishes. We also offer a wide range of exotic varieties: leather with crocodile, ostrich or snake embossing, as well as genuine eel and ostrich leathers. 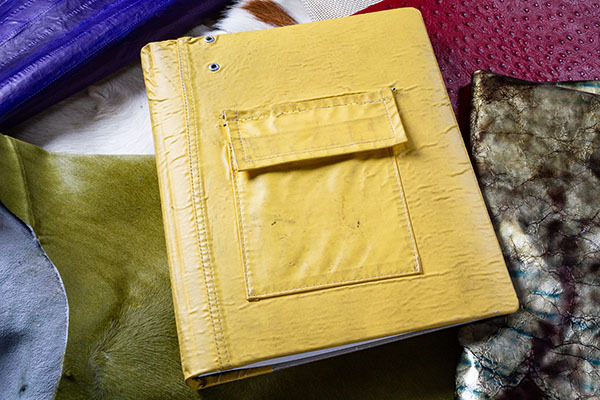 On request, you may opt for one of our many biologically tanned leathers. 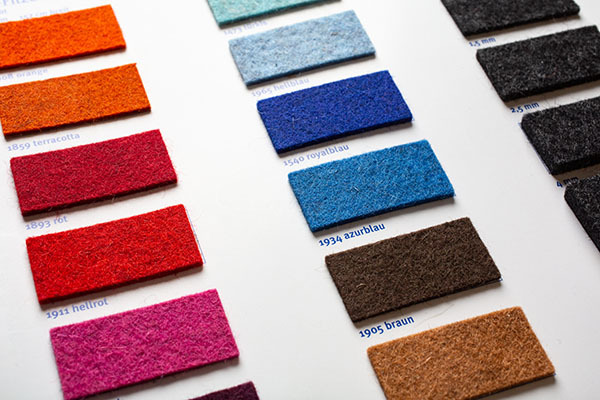 We have a large selection of high quality, 100% wollen felt – either in solid or mottled colors. 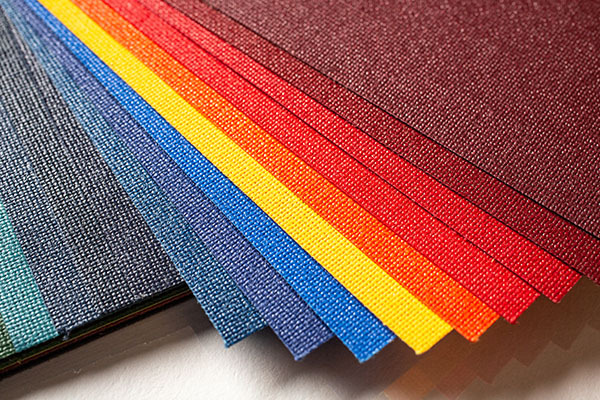 Our linens also come in a large selection of colors, and finishes range from lustrous and shiny to naturally matt. You are welcome to bring us your own material to use. Be it a raincoat or table cloth, embroidered fabric or denim jacket – there are countless possibilities for a truly individual cover.